The Black Keys On World Cafe : World Cafe From Dan Auerbach's studio in Akron, the band performs songs from its latest album, Brothers, on World Cafe. The album was recorded both at home and at the legendary Muscle Shoals in Alabama, which might help explain its soulful feel. 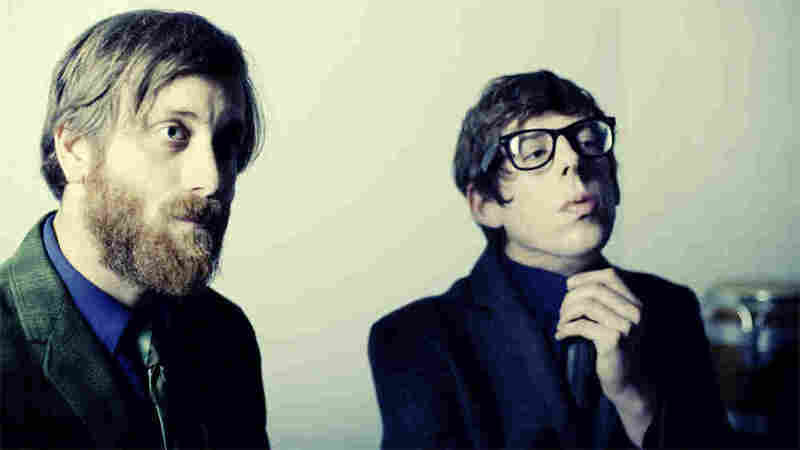 After a number of different projects, solo and otherwise, Dan Auerbach and Patrick Carney are back with The Black Keys' hotly anticipated new record, Brothers. From Auerbach's studio in Akron, the band and World Cafe host David Dye talk about the making of the new album -- from setting up a new studio in Akron to recording at the legendary Muscle Shoals studio in Alabama and The Bunker in Brooklyn. Muscle Shoals has spawned many iconic recordings, including some from Wilson Pickett and The Rolling Stones. The result is a soulful album with a lot of depth. In a session from World Cafe, Auerbach introduces his falsetto voice in "Everlasting Light" -- a new texture for both Brothers and The Black Keys' live experience. This story originally ran on May 20, 2010.